"Menehune" [pronounced meh-neh-HOO-neh] are said to be a people, sometimes described as dwarfs in size, who live in the deep forests and hidden valleys of the Hawaiian Islands, far from the eyes of normal humans. Their favorite food is the maiʻa (banana), but they also like fish. The Menehune were said to be superb craftspeople. Legends say that the Menehune built temples (heiau), fishponds, roads, canoes, and houses. They are said to have lived in Hawaiʻi before settlers arrived from Polynesia many centuries ago. In Beckwith's Hawaiian Mythology, there are references to several other forest dwelling races: theNawao, who were large-sized wild hunters descended from Lua-nuʻu, the mu people, and the wapeople. Winston made his Menehunes Debut Playing in the PTBA Mens basketball league. Winston joins the Menehune Basketball organization as a Menehune Jr. He is maturing into a better player everyday he practices with the team and played this past season with the Menehunes in the PTBA Adult League. Winston is going to start his second season with Wilson High School where he will be on the Varsity team. Look out for Winston out there on the court as he helps lead his team. Winston is teaching his brother Bennet the game of basketball as well. Winston father Fred helps with the score clocks during the practices while Ella spoils the team with her yummy desserts. Winston is going to be the future guard for the Menehunes team. 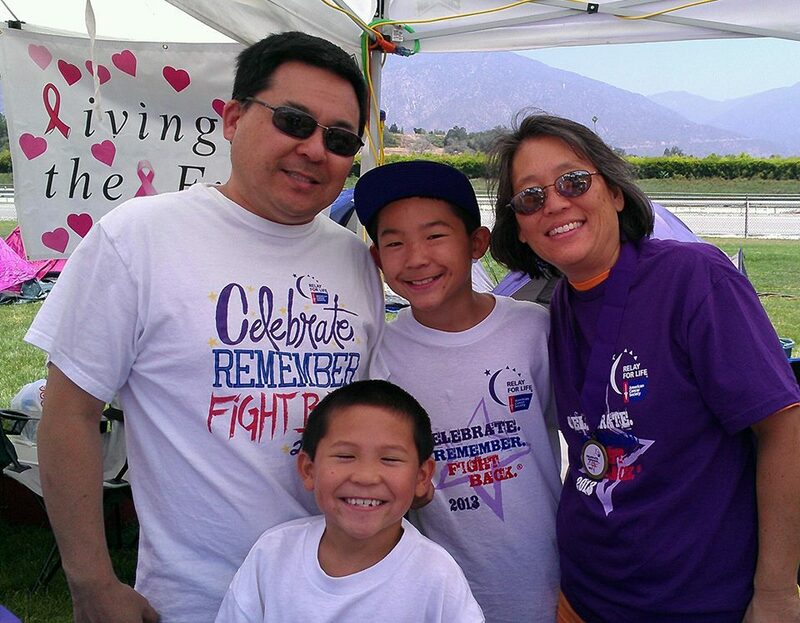 Evan and Kai are two boys of Scott and Jonie Tsuji. One of the biggest Menehune Basketball supports, Scott Tsuji been following Jimmy Miyasaka and Billy Hofman (Menehunes Hall of Famers) back when there at Cal Poly Pomona playing on the Mens Division 2 NCAA Basketball team. Scott Tsuji was Billy Hofman, Matt Rosser, and Jimmy Miyasaka's, athletic sports councilor while they were at Cal Poly Pomona. 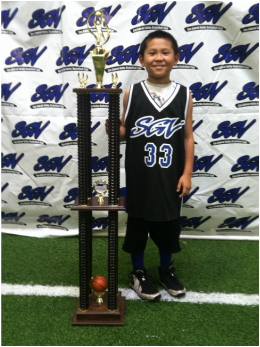 Evan, now going into 7th grade having played for SGV since third grade, is starting to make a name for himself in the AAU basketball worlds. They play in various tournaments year around and leagues. 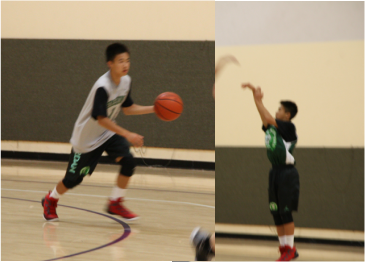 Kai just finished his first year in club basketball (also SGV) where he played exceptionally well. As a 2nd grade team they won 8 championships, 6 - 2nd places, and 2 - 3rd places in the past year. At one point in their season they won 5 tourneys in a row. 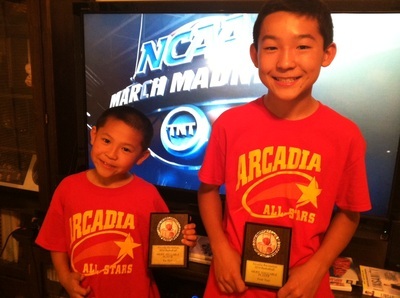 They received national recognition by Westcoastelite25basketball.com, where they were ranked #5th for 2nd graders.There is a fairly good chance that they will go to AAU Nationals in Orlando next summer, and possibly travel to a Hawaii tournament. Scott and Jonie's boys are growing up fast! In no time they will be wearing a Menehunes Jersey! 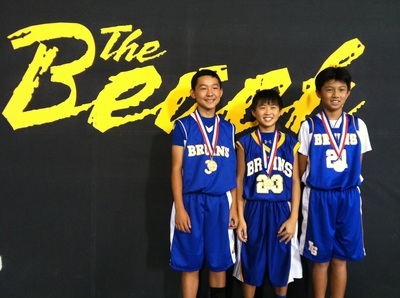 But in the mean time they will be dominating there Asian American basketball leagues around the Southern California Region area. Kai and Evan MVP for there elementary school teams. Scott, Jonie, Evan, and Kai Family photo. Support the Fight for Breast Cancer.